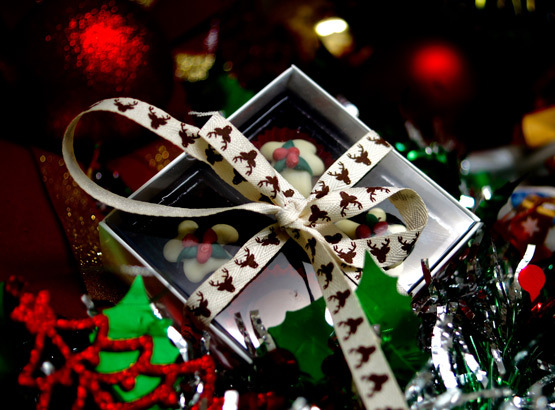 Chocolate Country is excited to offer our range of delicious hampers to treat the Foodies, Chocolate Lovers, or yourself this Christmas. Below is a selection of hampers for you to choose from, or you can call our shop on 5442 9562 to arrange for a personalised selection. Most of our hampers come in a wooden box made for us using recycled wood by Pallet Space in Palmwoods, which gives you a really useful storage box for you to keep. There is no need to worry about how you will receive or transport your hamper, as we are offering a delivery service from Coolum Beach to Caloundra and inland from there. Chocolate Country will deliver these personally, to ensure they are in perfect condition when they arrive. Orders over $100 will enjoy free delivery. You can add any other products from our online shop for delivery the the same time. We will be delivering on 15, 22 and 23rd December, just select your preferred date while checking out. other dates may be possible for multiple orders, just call us to arrange this. Out side of these area’s please call the shop to discuss delivery options.